Every goddamn day: 04/21/19: "Listen to the music, all the time..."
"Whoa-o-oh, listen to the music." Driving along Dundee Road Wednesday, with my 17-year-old in the front seat. Picking him up from Evanston where he ran, 13 miles, trying out a new pair of sneakers. Was going to turn around and come home, but didn't want to be late for dinner. "You mind if I change this?" I asked. "Because I was sick of this 30 years ago." He grunted something affirmative. I hit the "Channel" button the steering wheel. A song about defacing your ex-boyfriend's car. "Shania Twain," I said, as if no more was needed (Actually, it's sung by Carrie Underwood. Casey Kasem, I'm not). Next song. She's the only one I've got. Not much of a girlfriend. Never seem to get a lot." "This song's 35 years old," I said. In one of the crueler twists of fate, all the pop crap that I hated as a teenager—Doobie Brothers and Kansas, Journey and Supertramp and Toto and the Cars is still around, played continually on the radio, just like it was 1979. Sure, I remember we had lots of decades-old, retread stuff when I was growing up. The 1950s were very much in vogue, Sha-Na-Na and "The Loco-motion" and whatever. But there were also new songs, lots of them, and while we might nod appreciatively at, oh, "Runaround Sue," it wasn't all we listened to. The new stuff wasn't so crowded by the overbearing past. And yes, I know the solution is to get Sirius XM Satellite radio where I can tune into a narrowcast station designed for my tastes, whatever they are. Or load the CD player. Or buy whatever piece of string is needed to hook my iPod into the stereo. The next car, I'm sure, will have all that. Until then, the radio's still there, and the boys like to listen to it, racing for the front seat so they can jockey the stations, and tend to like what they hear—it's new to them. I try to keep the dial on WXRT, though it does have a tendency to play "Dark Side of the Moon" a bit too much, though it actually will play actual new music that's actually interesting—on my way to Evanston, it played Elle King's funky, fuzzy "Ex's and Oh's," which I had heard once before, liked, and was happy to hear again. Not that it's great music either—King is the daughter of Saturday Night Live's Rob Schneider, and musically sort of the love child of Amy Winehouse and Adele, with a driving, retro, roadhouse sound, at least on this song, released earlier this year, which is all I've heard of her. Promising enough to plop down $6.99 for the album on iTunes—that's also what an album cost 30 years ago. You forget that the Internet gutted the music industry just as it filleted publishing and gutshot journalism. People still make music and heck, Robert Johnson didn't get rich either. 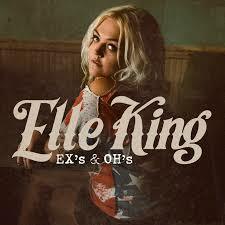 But Elle King has my seven bucks—not that she needs it; or got it, Apple probably grabs $6.90 of that and she gets a dime. Anyway, I was happy to get some new music; anyone can listen to the same old tunes. Liking a new song, good or not, is the best evidence I can think of that you haven't ossified above the neck quite yet. The rock critic Bill Wyman (not the ex-Rolling Stone but the former Reader writer who left Chicago for better pastures) made a great observation that pop music is the only art form which is primarily driven by young people. Not too many middle aged rockers and rappers, and those that exist likely made their best stuff when they were younger. And it seems pretty clear to me that there's something about growing older that generates some sort of resistance to new music - not that people don't do it but there seems to be some greater "inertia" force (beyond the fact that adults have busier lives and such). I grew up on 70's AM radio so I have a sweet tooth for pop over the endless folksy Americana WXRT plays - I'd rather listen to 103.5 or The Mix (i.e., white suburbanite top 40), though unfortunately Chicago doesn't have an old style top-40 station that would mix in some other genres, let alone a decent indie rock station. I love Spotify - $10/month for unlimited streaming on my phone (or computer) where I can check out recommendations from friends or critics with similar tastes. PS - beware if you're over 40 and listen to those top-40 stations: you'll get some strange looks when you're talking with your friends' kids and are able to distinguish between boy bands, the rapper du jour, etc. PS - "Just Another Nervous Wreck" from the "Breakfast in America" album quoted in the column is an amazing song - like a Richard Yates tragic novel you can hum and cry to. But will Taylor Swift still be around 40 yrs from now touring? Probably not. And more chance of a 70 yr old guy on stage then a lady still doing that in song. See, I think Taylor Swift will be around (if the New Kids can still be touring, why not one of the true voices of her generation?). It's the rocksnob darlings-of-the-moment that are forgotten - Portishead may still exist, but I'd be surprised if more than twenty people played their allegedly "classic" debut album last year. Again, check out aged females touring as compared to males. ANA, you must be younger than I thought. Fun Column. Yes, anon at 7:43 I remember Joel Daly on ch. 7 news. Yes, WXRT is a bit out there at times, ANA. I don't mind a bit of Breakfast with the Beatles on Sunday. Now a new station 88.7 , ME radio, like the tv stations plays some of those rare oldies that 94.7 no longer does. I like some of the new music, my young adult daughter keeps me up to date some too. Glad you pointed out about that being a diff. Bill Wyman. The Stones can still rock it though. Look at recent reviews of their concerts. I'd like to know what Mick is on. But as it was mentioned, their best original material is early days. I like those quoted Supertramp lyrics. I second Mrs.' endorsement of ME radio - there's some weird story about that frequency: it's leftover from the digital tv switchover and only exists as long as the FCC let's it or somesuch thing, but whoever is programming it knows their stuff or bought a copy of one of those encyclopedic Joel Whitburn books of Billboard Top-40 charts. It's not just the same old Motown and Beatles hits. Yes, love hearing those rarities from Spanky and the Gang, etc. Or early 70's rare ones. Yes, Beatles and Motown gets tiresome. I guess the fact that I didn't recognize a single one of the names you mentioned makes me realize that yes, indeed, nothing but bone for a brain. The musical appreciation section is full of dusty vinyl and half remembered 40s tunes. We'll save some Tommy Dorsey music for you, Tate. Big Band isn't so bad. It's the early 50's Patty Page stuff I can't stomach and not just cause she's way before my time. I stopped paying attention to new popular music well before that epochal event in 1963. Don't know why exactly, but perhaps it was my version of the decision by Sherlock Holmes ("The Sign of Four") to remain ignorant of whole areas of human knowledge so as not to encumber his brain with matter that did not contribute to his facility as the world's first private consulting detective. 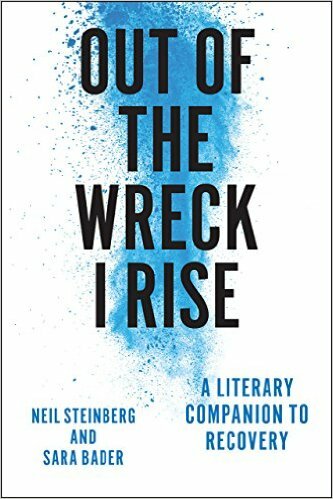 My own tastes were formed in what most readers here might view as akin to the Middle Ages, when, as a teen age jazz trumpeter, an ambition frustrated only by want of talent and opportunity, I almost did myself an injury trying to replicate Bunny Berigan's celestial intro to "I Can't Get Started." I suppose well before your time, I spent my high school years listening to Dave Garroway, before he moved to New York and invented breakfast-time television, a late-night disk jockey, play Benny, and Tommy, and Louis. And George Shearing, and Roy "Little Jazz" Eldrige, and Teddy Wilson. And Andre Previn before he went classical. And that host of mature beauties who, in those pre-feminist times, were referred to as "Girl Singers." It probably wasn't good for my health, but I listened from 10 to midnight. When Dave closed with Miss Peggy Lee intoning the lyrics to Alec Wilder's "While We're Young," ("Songs are made to sing, while we're young. Every day is spring, while we're young.") it was time to turn out the light. Doris Day is my favorite even though Que Sera has gotten old in more ways than one. I enjoy new stuff, but pursuing it doesn't interest me. My inlaws are real Stephen Sondheim fanatics, literally traveling the world to see different productions of his work, but I enjoy his explanations more than the music itself. Jo Stafford was a fine singer and a gifted musician. And there was Ella. And Peggy. And Pearl. And Billie. And Dinah. All fine voices, and they knew how to sell the more stylish lyrics characteristic of that era. Yes, Louis is loved by even non jazz fanatics. Perhaps you like Miles Davis later. I like Miles fine. And Dizzy. Had to laugh at the XRT Dark Side of the Moon comment. If you think that's bad, (don't) listen to WDRV for a day. They seem to have some sort of Pink Floyd fetish. But once you go satellite radio in the car, you'll never go back (if it's economically feasible). I never could stand Pink Floyd. But the Drive 97.1 has gotten too repetitive. Thought I don't mind some Cream, or Young's Cinnamon Girl. But the Doors get overdone. Same with Zeppelin. Good thing Jimmy Page reformed his ways. But what a guitarist indeed! I won't pay for satellite radio. Cable is bad enough. There's always cd's in the car too. I don't do ITunes. Still a lot of variety on regular radio. 90.1 Sat. has the swingshift, at 11 am with big band tunes, though that's way before my time. I'm not a jazz person though, not even of later smooth jazz. Anything with Eric Clapton is good and he's been in so many bands. I don't mind Meghan Trainor's retro, early 60's girl group sound. But she'll prob be a flash in the pan. The Internet is machete-ing radio, both terrestrial and satellite, too. Pandora, Spotify, and iTunes Radio are all good choices. Yes, Pandora and Spotify are popular too, etc. So many more choices now. Radio Grenouille is in my favorite city, Marseilles. They play a strange mix of contemporary French, classic American, and some Afro-pop. The Bourbons are/were distant relations. Ahh, perhaps a relative of the Sun King, Louis XIV, we won't mention the XVI. So glad I took 2 yrs of French in hs but forgot most of it with no practice. Some schools now teach nothing but Spanish, thinking it's more practical. Liking a new song, good or not, is the best evidence I can think of that you haven't ossified above the neck quite yet. Classical is all I listen to now, which means I must be ossified from head to toe. Classic gets too same old, so I like some lighter 60's ,70's pops and one hit wonder songs too. B.S., Is Mozart your fave? I know there's a classic station around 98 something on the dial. Now there's an old term, dial. For me, it's a tie between Mozart and Beethoven. And you're thinking of 98.7, WFMT. A lovely station, except when they're in fundraising mode. Jakash: Oh, I like all those composers, as well as Chopin, Mendelssohn, Saint-Saens, Prokofiev, Rachmaninoff, and too many others to mention. I remember the Reader covering the tumult when WFMT briefly aired prerecorded commercials. And "tumult" is not too strong a word. I was astounded at how many dweebs there were who apparently had nothing better to do than fret about whether or not WFMT's commercials were read live by the announcers. "Because I was sick of this 30 years ago." Me too, as far as with some of the ones you mentioned. But the reason they were overplayed 30 years ago was because SOMEBODY liked them, and somebody still does. I guess. Show of hands: how many of you, in 1975, would have believed that the Stones would still be touring in 2015? Not me. The fact that Mick is still strutting and slithering around the stage a month shy of 72 is another thing that boggles my mind. Good for him to be in the shape to do it, but it's just creepy as hell to me. Of course, I found his shtick creepy when I was 20, independent of the fact that I loved the music. Unlike Bitter Scribe, I still enjoy the ole rock and roll and rare bits of the new, even though I'm too old for it, according to my own standards. So I guess I can't complain about folks shelling out big bucks to see bands that peaked 40 years ago. I just think there's a big difference between Sinatra singing "My Way" when he was 70, or Tony Bennett singing "I left my heart in San Francisco" than what's left of the Beach "Boys" singing "Surfin' Safari", or Paul McCartney singing "Drive My Car" these days. Harrumph! I don't know how widely known this is, but "The Drive" is largely a nationwide network. I learned this by coincidence: I was once in San Francisco looking for 2400 Fulton Street, the house that housed the Jefferson Airplane (with many esteemed visitors) during the 60's and was listening to the local radio, when I hear "The Drive Guy" repeat one of those solemn-sounding pronouncements about how special old-and-hard-but-not-too-hard rock music is, then say "The Drive" and then say a frequency that was not 97.1. I felt vaguely betrayed. I saw the Stones in the summer of '77 I think it was at Soldiers field. So I just ended my sr. year and about to start college that fall locally. No, I never thought they'd still be there. The acting world is a little kinder to older female artists then the rock music world is. I believe it about national radio stations. There's some others like that too. Same jingle you can hear in other states, just diff. number. Yes, I always thought that Ringo song was creepy. Talking about a guy with mediocre talent even in drumming being at the right place at the right time. And Paul M. in his Wings days, no thanks. All a matter of taste, but I got to stick up for Wings - if nothing else, "Magneto and Titanium Man" always puts a smile on my face (no small feat). Mick got on this huge inflatable man's part and then squirted the audience with water. Look at how Keith looks these days. 9 lives indeed- no woman could get away with that on stage. Or the one about (vid) where Paul is dressed in some slick backed, 30's costume singing into an oldies mike. Poor Linda. I've read how he'd drag her around to tours when she just wanted to be home with the kids. I always thought John was cooler and sincere if harsher. Too bad John got brainwashed by that whacko Yoko. He must have been blind when he dated her. Paul always worried about his image more. I'd like to give him a slap, lol. George is so so, he went a bit goofy with that guru stuff and the guy was a fraud anyhow. John treated Julian and Cynthia poorly. Sean seems like some momma's boy, maybe Yoko won't let him marry. A solution for your car is to get a mini Bluetooth speaker. I've got the JAM and it sounds surprisingly good for its size. I just listened to the Elle King link. She has an interesting sound indeed. My cd and iPod selections range from symphonic to present day w pretty much every genre represented, except for the "Pop Tarts", so looks like I'm pretty safe from ossification. I love You Tube, can see old those rock acts one can remember as a kid. No classifications or labels for me. I either like it or I don't. I hear people denigrating a song like "Let Her Cry" from Hootie and the Blowfish, and I just have to laugh. What pompous asses. "They're a glorified garage band with a black lead singer." Has nothing whatsoever to do with whether or not the song is good. From Beethoven to Glen Miller to B.B. King, to The Beatles, Marvin Gaye, Isley Brothers, Pearl Jam - or any one hit wonder (and I don't mean Stevie Wonder), WHO CARES? Tony Bennet's "I'll be seeing You" is just as listenable and enjoyable as N.W.A. 's "Gangsta Gangsta." It's a matter of taste. But that taste shouldn't judge the music by the politics of the band or the "acceptability" of "those in the know." Wagner must be divorced from the man or you lose the possibility of the music. Music prejudices make no sense to me. Like food, I want to sample it all. A guy at work plays one of those classic rock stations and I wonder, is there one person listening who wants to hear "Wheel in the sky" again this week? I doubt it. to feel an intimacy with the greats. In my opinion, of course. Ah, the Kinks. Well many acts don't go to small clubs. That's true. I might make an exception for someone like Neil Young if I felt like paying for a decent view. I space out otherwise.